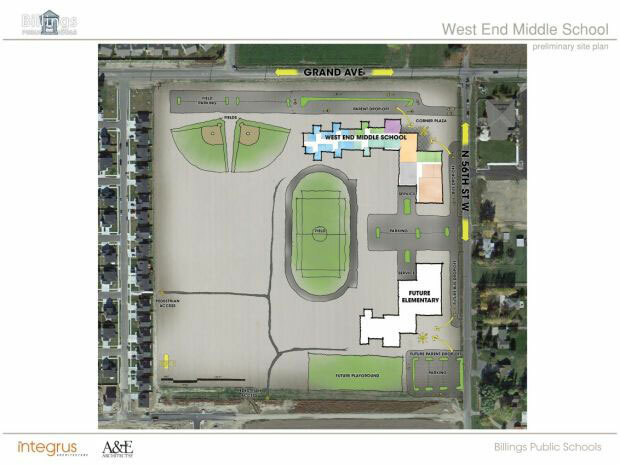 ACE was selected to be the MEP engineer for the new Ben Steele Middle School located on the West-end in Billings, Montana. The $23,830,400 School consists of approximately 105,000 square feet on two stories. It includes wood and metal shops, a full array of standard classrooms including science classrooms and a gymnasium. The HVAC systems consists of a VAV air handling system with terminal reheat. Heat is provided by a high efficiency boiler plant with variable speed primary system pumps. Cooling is provided by an air cooled chiller with variable speed primary system pumps, including a bypass to maintain minimum flow. The electrical lighting is designed to meet and exceed the requirements of the IECC, including occupancy sensors and multilevel switching. The fire alarm system includes voice evacuation.